This problem list subset includes concepts that KP Kaiser Permanente uses within the Obstetrics and Gynecology Problem Lists. 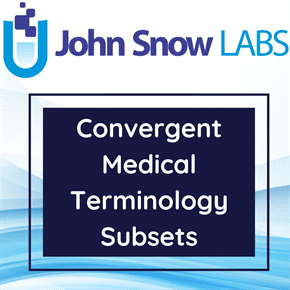 There are 2,199 SNOMED CT (Systematized Nomenclature of Medicine – Clinical Terms) concepts in the file and includes mappings to ICD-9-CM and ICD-10-CM. This dataset is the compilation of obstetrics and gynecology related problem list subsets that KP has released in the year 2013and 2015. CMT stands for Convergent Medical Terminology. It is a set of clinician and patient friendly terminology, linked to US and international interoperability standards, and related vocabulary development tools and utilities. Developed by Kaiser Permanente over many years for use within its health-IT systems, CMT now includes more than 75,000 concepts. The terminology itself was developed by doctors, nurses, specialists, and pharmacists working together with IT. The tools and utilities were created by technology specialists with input from those clinicians every step of the way. It was developed to extend and link published standards that have now been adopted by the U.S. government. The development and implementation of CMT was difficult and time consuming at first. It was a strategic investment as part of Kaiser Permanente’s commitment to improving the quality of care. In September 2010 Kaiser Permanente, the International Health Terminology Standards Development Organisation (IHTSDO) and the US Department of Health and Human Services jointly announced Kaiser Permanente’s donation of their CMT content and related tooling to the IHTSDO. The donation consists of terminology content already developed, a set of tools to help create and manage terminology and processes to control the quality of terminology that is developed. CMT also includes mappings to classifications and standard vocabularies including SNOMED CT.
CMT can be incorporated in the underlying architecture of health-IT systems to support data flow between health care providers, as it is in Kaiser Permanente today. It provides uniform concept definitions so that systems used for labs, vaccines, observations, and other medical data can communicate with each other in a common language, making data transferable between systems and among care teams. CMT allows care teams to interact with health information technology systems by providing more familiar names and descriptions so that they can coordinate with each other in an easy to understand way. Because CMT links to U.S. national standard vocabularies and code sets, such as SNOMED CT and ICD-9-CM, health data created using CMT’s clinician-friendly language can be translated as needed to standards required for quality measurement, statistical reporting, and health care reimbursement.